Every wedding should have a photo booth. 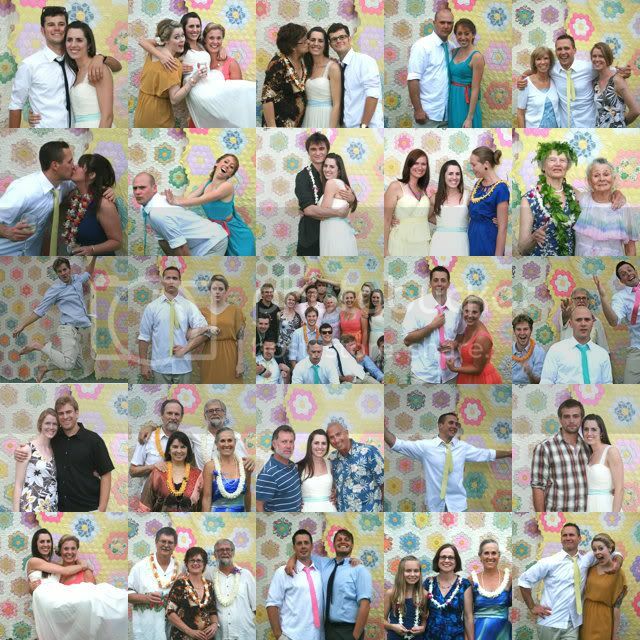 One of my favorite elements at the wedding was our photo booth. My mother has a collection of antique quilts, which happened to match my wedding colors, and we hung them on the clothesline and set my camera up on a tripod under a sunbrella. (A sheet would also work as a backdrop.) It was a really fun place for people to congregate around and it was a great way for me to get photos of most of my guests.